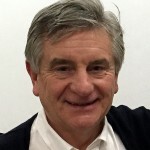 Mike has worked as a Management Consultant/Trainer since 1979. A founder member of Opsis, prior to consultancy Mike worked for the Ferranti Engineering Group, Seddon Atkinson Motor Vehicles the Engineering Industry Training Board (E.I.T.B) and Bass Plc. During this period Mike attained several professional qualifications including a Teaching Diploma in Higher Education, enabling him to lecture at Polytechnic level, and winning a National Training Award during his time at Bass Plc.